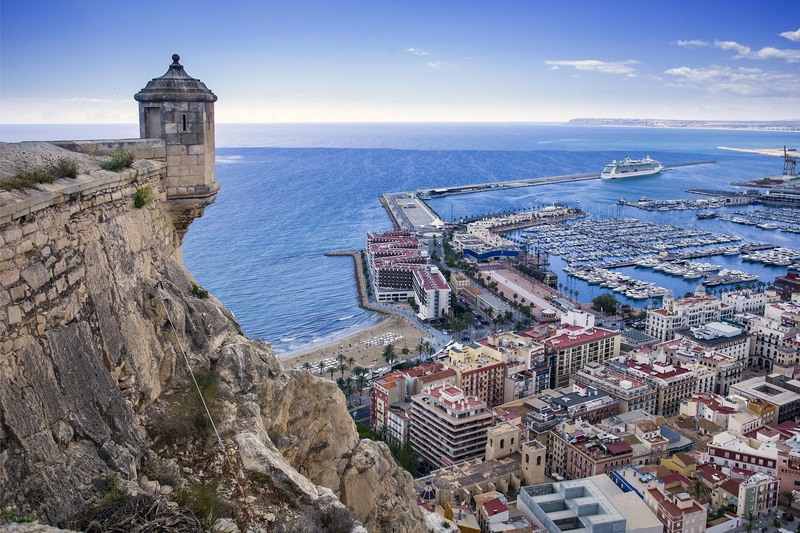 Alicante is one of the coastal towns bathed by the Mediterranean Sea and has some of the most beautiful beaches on Costa Blanca. 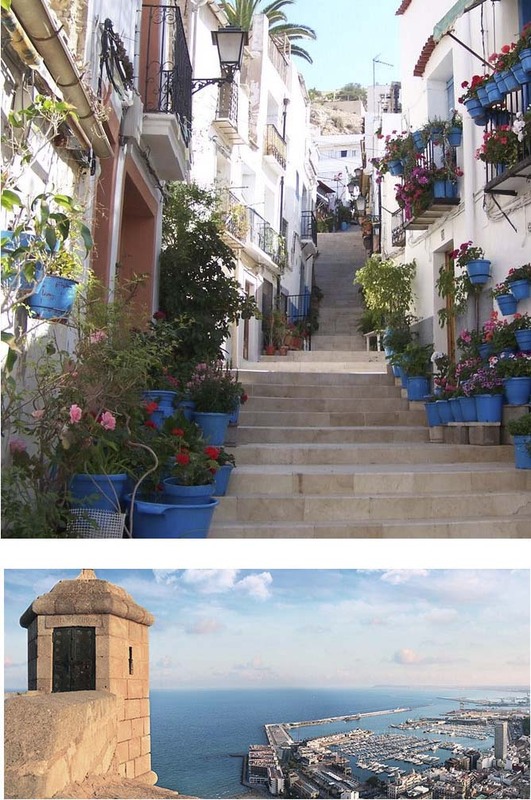 You will not only enjoy this welcoming city for its beaches, but you will also discover Alicante with your five senses through the history that surrounds it. Impressive monuments and museums will help you to know all the secrets it has. With a unique gastronomic experience enveloped by a warm Mediterranean climate. Although it seems a young and dynamic city, the origin of Alicante goes back more than three thousand years, thanks to the archaeological remains found in the “Cova del Fum” to Fontcalent, which place us in the third millennium BC. In addition, there are remains that demonstrate that Mount Benacantil is one of the first inhabited urban centers. As well as the Ibero-Roman colony of Lucentum, located on Mount Tossal of Manises, whose origin dates back to the 4th century BC. Located at the summit of Mount Benacantil, 166 meters above sea level. It is one of the largest medieval fortresses in Spain from which you can enjoy the view of the beautiful coast of Alicante. The lower room has its origin in the eighteenth century, where is the “Revellín del Bon Repós”, place where are usually held various cultural exhibitions. In the intermediate enclosure, there are the most important outbuildings built in the sixteenth century: the Felipe II Room, the Guards Corps, the Hall of Arms and the “Baluarte de la Reina”. In the upper area is “La Torreta”, where the “Torre del Homenaje”, a 14th century watchtower, is located. This is the oldest part of the castle. Some outbuildings of the castle are MUSA museum’s rooms. It is the most important museum in the city, with ten permanent exhibition rooms that will make you know more about the history of Alicante. One of the most striking things about the castle is the “Cara del Moro”, from the beach “ El Postiguet”, you can see that the mountain looks like the profile of a Moorish face. This city is always moving and with a lot of activities, such as trade fairs, traditional or medieval markets and festivals, restaurants to satisfy everyone’s needs. The streets of the city center are animated by a variety of small typicall shops or fashion stores, as well as large shopping centers on the outskirts of the city. In the streets of Alicante, you can find different places to visit that will make you enjoy a pleasant experience at any time of the year thanks to its mild climate. 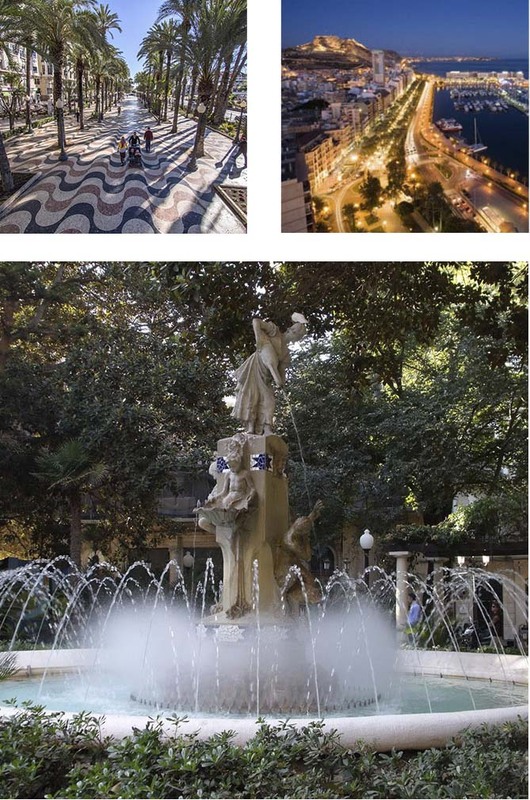 Among them, are the “Explanada”, one of the most emblematic places of the city; the park of “Ereta”, the park of “Canalejas” or the” Palmeral”. One of the main tourist attractions of the city are its beaches. More specifically, thanks to the recognition they receive from the European Union with its “Blue Flags”, which give them international prestige in terms of the quality of beaches. One of the most curious beaches to visit is the small archipelago of Tabarca Island located at 11 nautical miles. Part of the life and dynamism of the city are linked with the joy of its inhabitants and its various festivities that don´t leave visitors indifferent. Holy Week, “Fogueres de Sant Joan”, the festival of “Moors and Christians” are some of the highlights of the calendar, so any time of the year is good to visit the city.